The power of the ruling body to alter the remuneration of the judicial “Seneschal” was open to arbitrary use and therefore incompatible with Article 6 of the Human Rights Convention. The claimants last challenged the independence of Sark’s governing and judicial bodies in successful judicial review proceedings in 2009. This time they sought judicial review of the Order in Council approving the new provisions under the Reform (Sark) (Amendment) (No.2) Law 2010, which had been brought in in response to the 2009 case. The claimants submitted that the provision altering the Seneschal’s terms of office was not compatible with Article 6 in that it resulted in the Seneschal not having the requisite degree of impartiality and independence. They contended, in essence, that the proposed law contained none of the guarantees to prevent the Seigneur (the hereditary Lord of Sark) appointing anyone he chose to the Appointments Committee as no qualifications for appointment were set out. He could therefore appoint persons who would act on his bidding. The sole check on the power of the Appointments Committee was the requirement for approval by the Lieutenant Governor, but that was no more than a formality. The application was granted, but only in relation to the manner in which the Seneschal’s remuneration could be altered. It must be recalled that Sark is a community of 600 people. It is not in our judgment necessary to have all the formal procedures and requirements that would plainly be necessary in the more usual jurisdiction: see for example the type of system set out in the Council of Europe’s Recommendation 2010 (12). Provided that those appointing were in fact qualified to perform the functions of appointing the Seneschal and were independent, then that was sufficient for the appointment that has been made. The requirement for the Lieutenant Governor’s approval of the appointment was not a mere formality. He was under an express obligation which included a requirement to satisfy himself that the committee concerned was properly qualified and independent, and that the proposed Seneschal had the experience and capacity to satisfy the Article requirements when exercising the jurisdiction of the judge of Sark. Nor was there any failing in the procedure for removing the Seneschal. 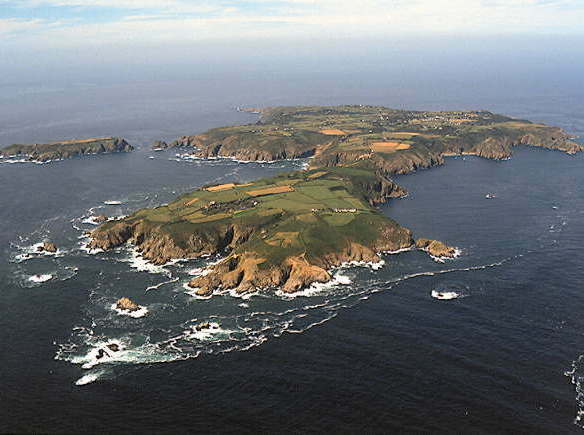 Just as in the case of the appointments system for the Seneschal, it had to be borne in mind that setting out a detailed procedure with independent checks and balances may not be required in the small community of Sark. The Seneschal could only be removed in a way compliant with Article 6 because it had to be by direction of the Lieutenant Governor, who was independent of the relevant Legislative and Executive powers. The failure to specify such a process in the legislation could not give rise to any objectively based fears of a risk of the Seneschal being influenced by any improper attempt to remove him. There was equally no objection to the provisions for re-appointment. There was, however, a problem with the unfettered power of the Chief Please to reduce the Seneschal’s remuneration. An essential component of judicial independence was legal protection against arbitrary reduction in a judge’s pay. The Seneschal had to be perceived to be under no influence from the majority in the community, and the fact that the Chief Pleas acquired that power by amending the legislation, thereby removing the Lieutenant Governor’s role, was highly significant to the perception of the risk of an arbitrary exercise of power. Therefore the provision enabling the alteration of the Seneschal’s terms of office, including his remuneration, did constitute a violation of Article 6. A declaration was therefore granted that the committee’s decision recommending approval of the provisions of the 2010 Law was unlawful because in respect of the Seneschal’s remuneration, the Law was incompatible with Article 6. This incompatibility could be cured by an appropriate amendment to the Law to restore to the Lieutenant Governor an effective power over remuneration.